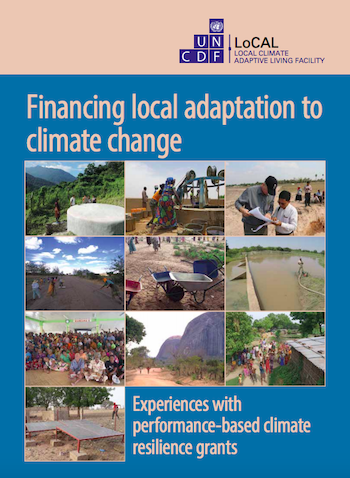 Thanks to its deep engagement with local authorities across LDCs, UNCDF directly witnessed the early impacts of climate change at the local level on local economic development, across sectors. 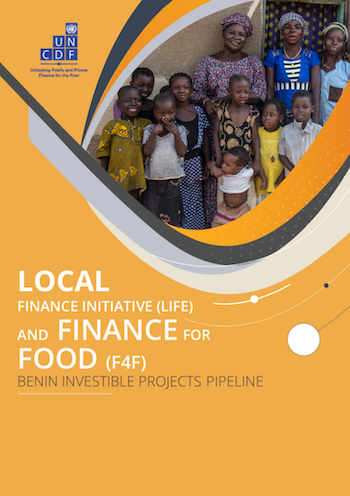 Achieving Food Security and Nutrition (FSN) is a significant challenge for the developing world and critical to alleviating poverty. With the regional disparities, FSN remain strong and progress has been modest, in particular in Sub-Saharan Africa. 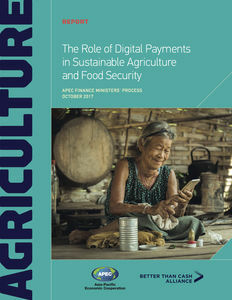 Finance Ministers of the economies of Asia-Pacific Economic Cooperation (APEC) endorsed the new Better Than Cash Alliance report on the role of digital payments in sustainable agriculture on 21st October, in Viet Nam. 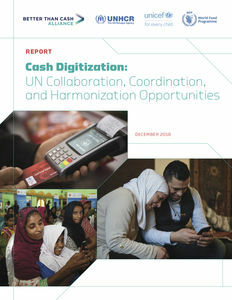 New UN Better Than Cash Alliance’s Cash Digitization Study recommends strengthening cash assistance collaboration across UN agencies & partners, to improve coordination and harmonization. 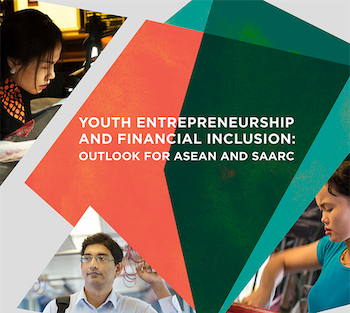 South and Southeast Asia are home to a combined 441 million youths, equivalent to almost 37 percent of the world’s population aged 15-24 years (UNDESA, 2015). Although most of the countries in these regions are currently experiencing strong economic growth, over 50 percent of working-age people are engaged in vulnerable low-paid employment and youth unemployment remains high with an increasing number of young people reaching the working age (ILO, 2016). 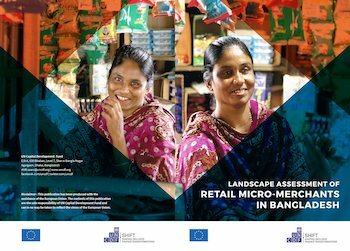 Recently, the United Nations Capital Development Fund (UNCDF) completed the first comprehensive study of micro-merchants in Bangladesh engaged in the retail sector, particularly in Fast Moving Consumer Goods (FMCG). 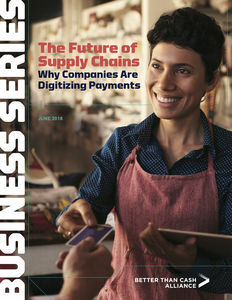 This study addresses gaps in data and contributes to understanding of the market size, the nature of micro-merchant operations and opportunities for employment and entrepreneurship. 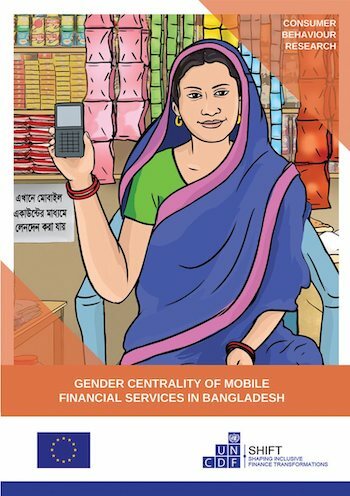 In 2017/18 the United Nations Capital Development Fund (UNCDF) undertook the first comprehensive review of micro-merchants in Bangladesh engaged in the retail sector, particularly in Fast Moving Consumer Goods (FMCG) operating mostly in rural areas. Women and girls face barriers in the enabling environment, in the supply of and in their demand for financial products and services, as well as in their socio-cultural context. 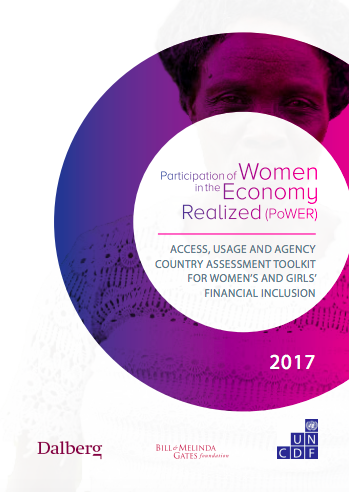 To address this challenge, UNCDF has developed a global strategy on women’s economic participation and empowerment for Financial Inclusion Practice Area (FIPA) called Participation of Women in the Economy Realized (PoWER). 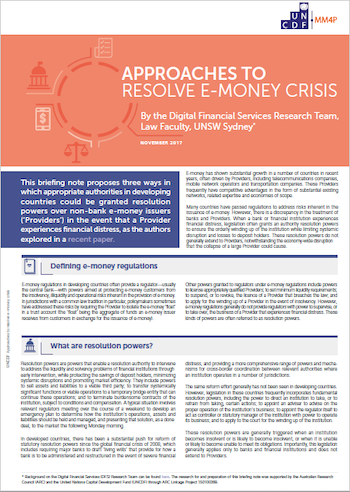 This briefing note proposes three ways in which appropriate authorities in developing countries could be granted resolution powers over non-bank e-money issuers (‘Providers’) in the event that a Provider experiences financial distress.